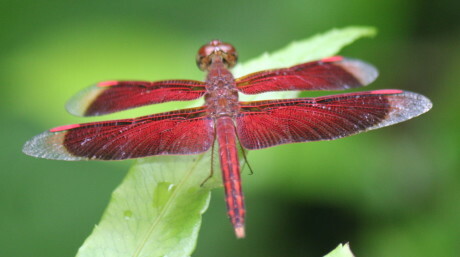 That’s why Conservation International, IUCN, The Nature Conservancy, Wetlands International, and WWF came together in 2017 to form the Global Mangrove Alliance (GMA). 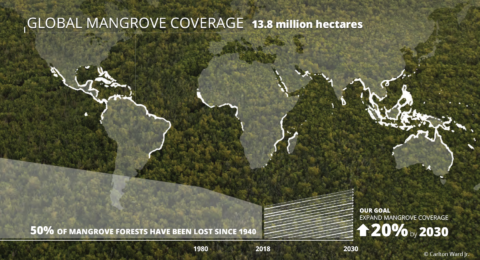 By organising a global movement involving NGOs, private sectors and government partners we are working towards the bold target to increase global mangrove cover by 20% by 2030. 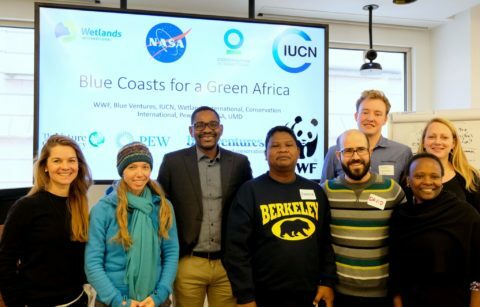 By aligning our work and sharing lessons learned we have a stronger voice, we can scale up our interventions on the ground, and convince others to support mangrove conservation across the globe. In the past year, we formalised the operational structure and overall vision of the alliance. The workshop marks a new phase in which we will work with our regional network to refine our strategy, develop plans for collaboration and hit the ground running! But it is not just a matter of finding thematic synergies. We realised that getting to know each other personally, understanding our organisational differences and building mutual trust is at least equally important for a successful collaboration. As the focus of my day-to-day work is mostly on Africa, talking to people from other regions gave me a broader perspective and get to know the different organisations better. One thing I noticed is that broadly, most of us in the different regions are coping with similar issues. 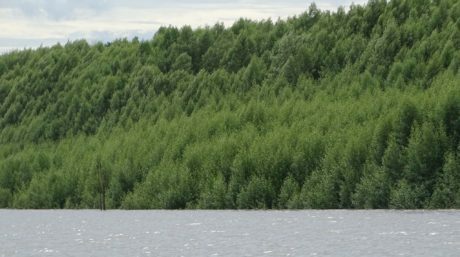 Coastal infrastructure development, large scale agriculture, aquaculture, overharvesting of natural resources – these are just some examples of threats to mangroves that are shared in different places of the world. We used the second day of the workshop to review our strategy and prioritise our future work. We split into groups and identified priority issues and solutions that we can focus on in order to meet our long-term goal. These lessons we learned are often not shared outside our organisations. This is where the GMA could come in: by facilitating the sharing of lessons learned and by developing joint strategies for community engagement we optimally build upon each other’s experiences and maximise our impact. Part of the Africa team with whom we develop a proposal. 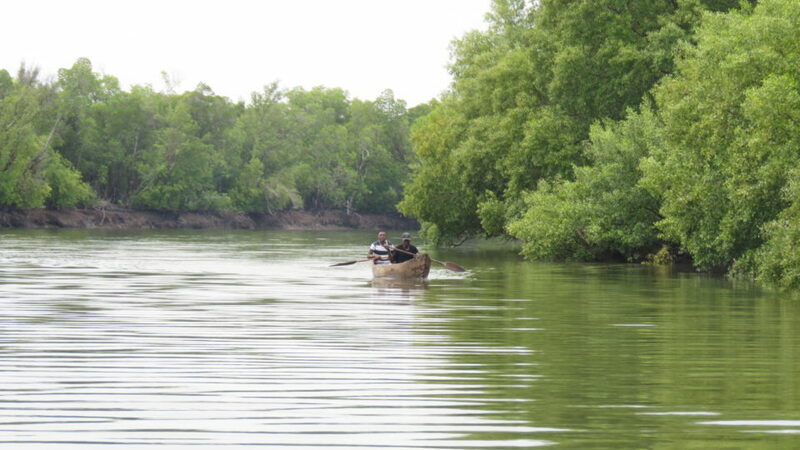 Many policies that seek to achieve economic growth, fail to take into account the values of mangroves. 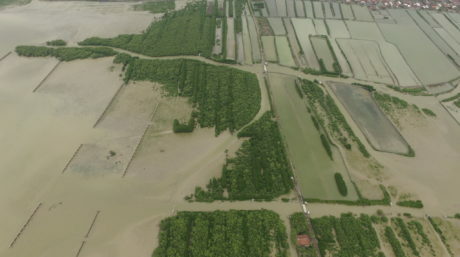 Large infrastructure and agricultural schemes, for example, may cause mangrove degradation and deforestation, causing loss of valuable fisheries resources and making coasts vulnerable to extreme events. To ensure that mangroves are conserved and restored, we need to make sure that government agencies at all levels recognise them for what they are worth: essential for nature and human wellbeing. Often their economic values are not recognised. Working groups on for example policy, science and communications along with regional teams will drive the work in the years to come. Make sure you closely follow the GMA website to hear more about our progress and stay posted on our progress. Over the coming year, we plan to build up the alliance by inviting new partners, securing resources and getting ourselves organised. Until now, founding partners have used their own institutional resources to start up the alliance. 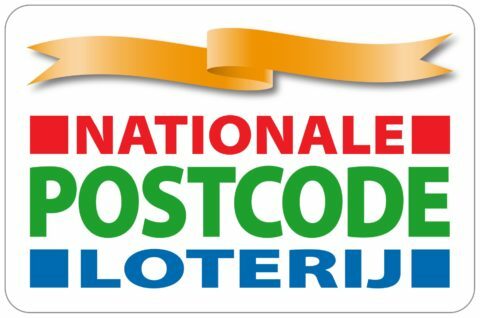 Wetlands International would like to thank the National Postcode Lottery of the Netherlands for supporting this initiative. Their contribution has been essential for the establishment of the alliance. Interested in becoming a partner? Learn more about joining the alliance.